Cape Town based Cobham South Africa has been named Airbus’ best performer in systems and equipment for the satellite communication antenna it supplies to the aerospace giant. The antennae, designed and manufactured at Cobham South Africa’s Westlake, Cape Town, facility are fitted to Airbus jetliners ranging from the 124 seater A319 to the 550 seat A380 superjumbo and the new mid-size ultra-long-haul A360 XWB. 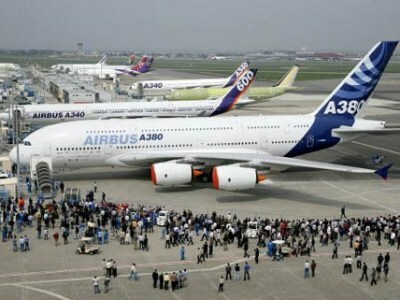 Airbus currently builds more than 50 aircraft every month. Last year it delivered 629 new jetliners and will achieve similar output this year from assembly lines in Toulouse (France), Hamburg (Germany) and Tianjin (China). September saw the global airliner company open a new final assembly line in Mobile, Alabama in the United States, which will enable Airbus to increase production from next year. By the end of September 2015, Airbus had a production backlog of 6,755 aircraft, representing 10 years of production at current output rates. Cobham South Africa is one of 7,200 direct suppliers to Airbus worldwide. The award is a further testament to the innovative engineering expertise residing in South Africa’s aerospace and advanced technology sector. Other South African Airbus suppliers include Centurion-based Aerosud and Denel Aerostructures in Ekurhuleni on the Gauteng East Rand.